I made a wedding card for this gorgeous quote. I used Spellbinders Arch One dies against a brick embossed background for a cathedral feel. I then added a leafy flourish from Cheery Lynn dies and roses (instead of cutting off the wiry stem from the roses, I curled them around a small brush handle for a tendril look). The vellum leaves were punched using Martha Stewart's frond punch and what's a wedding card without some pearls? I have to admit, it took me a bit to "get" this quote. I guess because we'd like to think that love is certain - or at least one would hope so! But here in the States, there's a commercial with this guy who says he's never getting married, then he's shopping for a ring, who declares that he's not having a kid, then he's in the labor room; never moving to the suburbs, then does; never buying a mini-van and voila - he's washing one... So in essence, you never know what your heart is capable of when you love someone. That's my take on it, anyway! :) What's yours? Isn't that Love gorgeous with all those flourishes?! For a chance to win a Quietfire rubber stamp (Don’t be shy!) leave a comment below before midnight Sunday January 25th, 2015. A winner will be randomly chosen from my list of comments and the winner's name will be posted on Quietfire Creations shortly afterwards. If you haven't done so already, go back and leave comments on all the designers Queen of Hearts blog posts! I agree with you, the flourishes are wonderful! Your card is so delicate & soft. The curled tendrils are such a clever idea! Love the brick and arch. It reminds me of the old stone churches. What a truly beautiful card. Love the background and all the leaves and flowers...they are perfect. It's a really nice song - Love Changes Everything - and I believe it really does :) I never thought I'd leave the area I grew up in but, once I met and married my true love I've never lived anywhere near that area since! Never thought I'd have kids, I have two wonderful sons....many changes. Beautiful job on the card. I love the flourishes too. I especially enjoyed both the heat and dry embossing. Using the church window die cut to stamp the sentiment on was a great idea. Love the flowers and leaves. Cool idea to twirl the tendrils. I really love your card with all it's different elements! The arch and brick effect is stunning and the roses with tendrils just beautiful. Yes, love does change everything and we find ourselves changing as a result! Hopefully for the better.....!!!! What a beautiful card!!! LOVE the tendril idea...adds so much texture and interest. Also love the Arch die cut against the brick embossing. Perfect look!!! Just lovely! And just the inspiration I needed as I have three family weddings coming up in the months ahead! Thanks for sharing your talent and inspiration! Diana, this sentiment is BEAITIFUL, as is your card!!!! The colors are lovely, and the white and purple roses are very pretty arranged on this card! The whole thing is BEAUTIFUL!! I fully agree with your interpretation of this pretty sentiment. LOVE the design of your card, LOVE the white textured bricks & arch, the pop of purple & green with the flowers, leaves and flourishes, LOVE IT ALL!!! Oh my - this is so pretty! I love the sentiment and all the flower details! This sentiment so relates to my son. After 40 + years he has found the love of his life. The font just adds to it. Beautiful--I like the brick background and the tendrils. Gorgeous! Love the background, flowers and flourishes. LOVE the embossed background and the flowers and greenery are so pretty! That sentiment is so true!! TFS! what awesome depth this card has. love it. the vines work so well with the sentiment. it's so pretty. The sentiment does take a bit of thinking - but that adds to its value. Your card is elegant but simple. Really like it. I love everything about this card! The background, the arch, the sentiment, the flowers, the vines and the curls are all just perfect!! Beautiful card. Love the brick in the background and the vines in front. I agree, it took me a minute to "get" the quote. But I think you're right. I appreciate this for people who may not have anyone special right now and think it won't happen for them. You just never know! This is a wonderful card! I like all the different techniques and textures you used! That sentiment is beautiful! This really reminds me of a beautiful church window! So fitting to see this card today as we celebrate 47 years of marriage for my parents! :) Lovely! Gorgeous card! From the arch to the flourishes to the sentiment, it is all beautiful. ADORABLE card!! I really like your explanation of the sentiment... gives it even MORE dimension... My daughter SWORE she'd never have KIDS... now she has TWO of her own and THREE hand-picked ones!! Guess love DOES change EVERYTHING!! 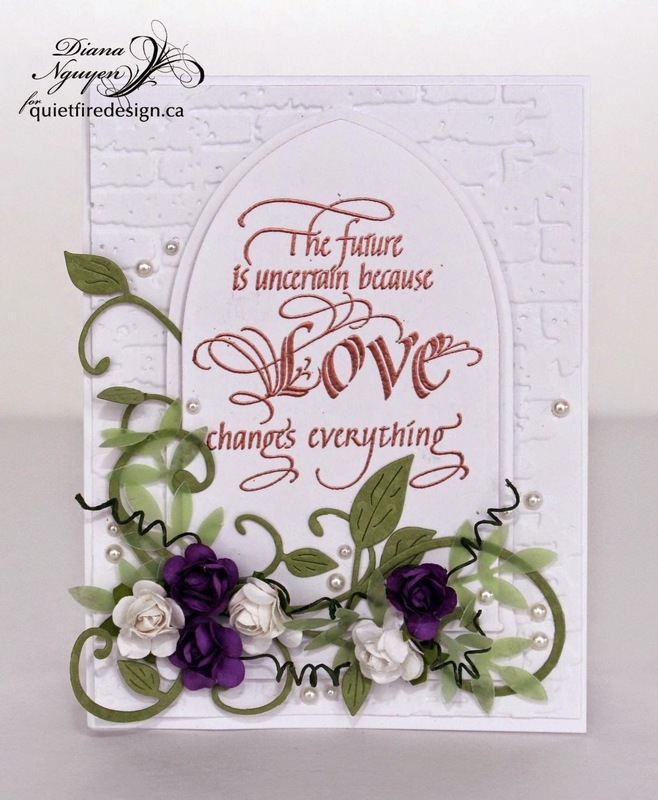 Hi Diana, I am new to your blog as well as Kathy's, but oh I certainly won't be for long, such a beautiful card, I love the sentiment used, also the brick dies and the arced window, ideal as you say as a wedding or even anniversary card. I also love all the flowers, they add so much to a card and say so much don't they. This is definitely a thought provoking sentiment. Oh, Diana! This is absolutely gorgeous! What a beautiful wedding card! I love this card. The white on white is just wonderful! Thanks for Sharing. Beautiful. Love the brick work in the background. the vines and flowers are so pretty. The sentiment is great. WOW! The vines and sentiment in color against the white background is amazing. Wonderful card. I'm a flourish girl too. Love the backstory-pun intended!! What a wonderful quote!! So true!! Love the arch!! A really beautiful card, Diana!!!! Love this card!! Favorite part is the purple roses you used and how you did the little tendrils on them!! This is a beautiful card!! I love the SB arched die with the sentiment on it. I never thought of using this die this way and set against the brick is so clever. Thanks for sharing such a wonderful card!! Beautiful Wedding card! Love the sentiment and your design. Thanks for the inspiration! Love all the elements that you put together for the sentiment on the card. It is really gorgeous and thanks for sharing it with all of us :) Happy Hopping everyone. What a beautiful card. I love the brick wall background. Beautiful card, love the background and floral treatment! Love the new sweeps and swirlys on the font. Great card. and wonderful sentiment. What a gorgeous card! I love the white on white with the pops of color from the flowers. And you're right the word "love" is wonderful. Thanks for sharing. 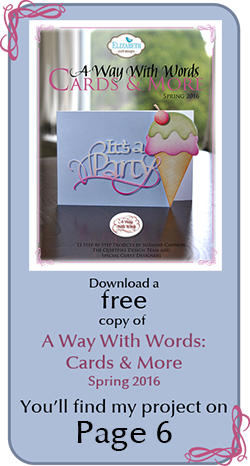 I love your gorgeous card - lucky bride and groom to receive it! Roses and pearls and a great sentiment! I like your take on the sentiment's meaning. As they say, never say never! Happy Valentine's Day! Beautiful work and design of this card. Love the curled tendril accents with the roses and leaves. A very unique and wonderful quote and so appropriate on this beautiful wedding card. I adore this card - so elegant! P R E T T Y Cards....FLOWERS are a Wonderful Touch!!! This card is lovely but I see others you did and they are so inspiring as well. very pretty card with the flowers you used! Beautiful card Diana! Love the sentiment. Beautiful card! I love the textures and details! Pretty sentiment too! Elegant card. Love the brick embossed background. Beautiful! Every detail is wonderful! Really nice layout. Love the sentiment. Love the way you embossed that brick! Lovely card. The brick looks great! Love the sentiment; great card! Awesome brick paper, really makes the sentiment stand out. 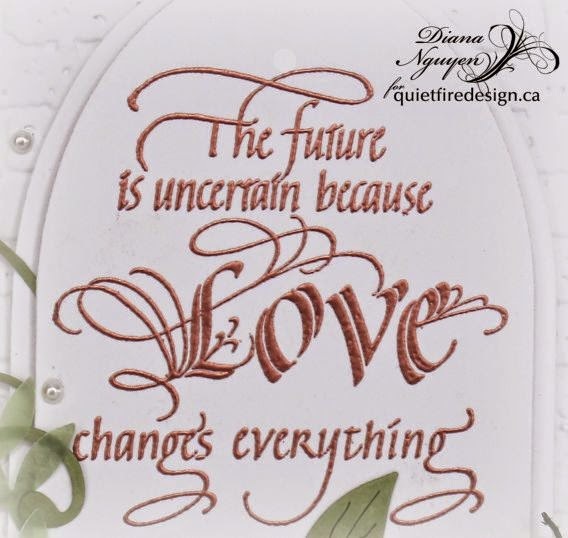 Diana - I just love this card - the arch against the brick wall both in white are really eye catching. Another beautiful card with an awesome sentiment! Love the flourishes as well! Thx for sharing your creativity. Really love the sentiment on the card and it does make a beautiful wedding card! I am glad Suzanne turned this sentiment into rubber. You have done a marvellous job showcasing it. Beautiful wedding card. A true keepsake. Contrast of colors, along with the flowers and flourish, result in a spectacular card! Gorgeous layout and card...love the purple flowers! 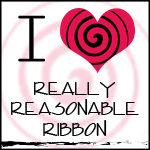 raising hand shyly...I love this sentiment and I'm so glad Suzanne took it off my email sig line to use. For me...it's not just about finding love - or a personal thing, but it's also global. It's so easy to look at all the places we see injustice and feel helpless/hopeless...but love changes the world in ways we cannot imagine. So from my kids and husband...to Boka Haram's kidnappings and killings - my love - and yours - can make a difference we can't even imagine. Just my two cents worth, unadjusted for inflation. And I love your card Diana - it's beautiful! Thanks! Very pretty and really like the stamp. I like the tendrils most of all as they are a very unique embellishment. It is also a unique colour choice for a wedding card. Yes, love does change everything, sometimes quickly. As a follower of Jesus Christ, I have seen the love of God change even the hardestest of hearts...people who everyone else wrote off as "hopeless". Love, does indeed, change everything ! Lovely stamps and cards! What a lovely sentiment! Exquisite work! I love the white stone with the purple flowers it is magical! I love this stamp!!! thanks for the inspiration! !